We want to help you become less energy dependent. Energy independence doesn't mean you must live off the grid, heat your home with wood, and ride your bike to work. But we can learn from those who do. Independence, according to Webster, is freedom from the influence, control or determination of another or others. The United States of America is no longer energy independent. With rising energy prices, you are probably becoming less so every day. We will work with you to reverse that trend. 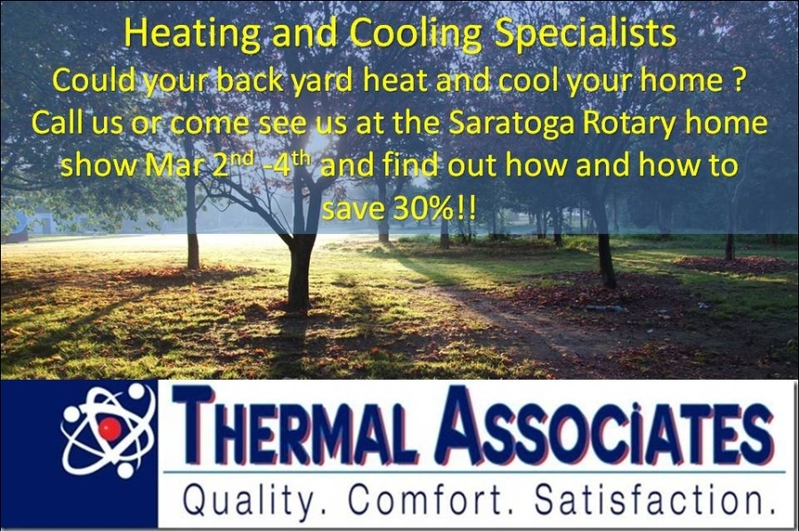 If you live here in the Capital Region and are interested in learning how to live as well or better with less energy, this Community is for you. If you are a newbie, not quite sure which end of a CFL is up, this Community is for you. If you have been working on making your home more energy efficient for years and still want to do more, this Community is for you. If you want to help others do what you have done, this Community is for you. Our Community brings together area residents concerned about the cost and availability of non-renewable energy and area experts and businesses that understand the problem and can help. 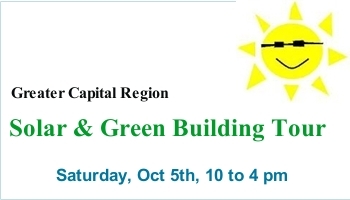 We share practical and climate-specific information, encouragement and motivation on how to use less non-renewable energy, while we build better, more sustainable lives for ourselves and our children, here in the greater Capital Region. We focus on reducing energy use in the three main areas we, as residents, have control over: Home, Transportation and Food. Why food? It takes the equivalent of about 2000 gallons of gasoline annually to feed the typical family of four with our agri-business, supermarket-distribution system - over 40% of their energy usage. Local food can be a big part of our energy independence solution. Plus, local food is often more healthy food and will be more readily available. Our Community is not political or religious in nature, but we accept that our members may be. Mostly we focus on practices, habits and science in finding ways to live better while using less energy, especially from non-renewable fossil fuels. Our Community does not take positions on controversies, technical, political, environmental or economic. Our "position" is our goal of energy independence in a healthy, sustainable environment. Generally we seek to use less energy through conservation and efficiency, and then seek energy sources that minimize exporting dollars, carbon emissions and other environmental hazards. Our Community is an open forum to exchange information and science on what works, what doesn't, and why. Differences of opinion are expected and accepted. Ultimately members decide for themselves and express themselves by voting, buying, writing letters, boycotting, picketing, arguing or acting for or against different positions in their homes, towns, state and country. 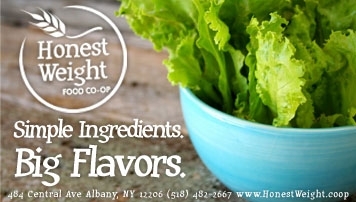 We are an online Community but we are geographically centered in the Capital Region. Others may join and learn, but our focus will always be the greater Capital Region of New York. We are an online community, not a virtual community. The distinction is important. A virtual community is not real, people hide their true identities, and the virtual and real must never meet. Our Community is a real community, but one that allows its members to share as much or as little about themselves as they wish. We encourage people to get to know each other, learn from each other, and meet. Still this is a dangerous world, so always be careful when arranging to meet someone you know only through the Community. Our Community is a family community where kids are encouraged to contribute (Kids Korner) and learn along with everyone else. After all, most of what we do is for our children because they will truly live the life we can only now envision. So, please keep children in mind during heated discussions. Certainly we can disagree but still be civil - let this too be an example we set for our children. This website is owned and operated by Home Energy Advisors LLC. 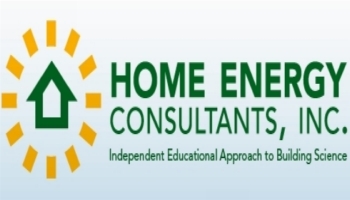 "Our Energy Independence Community" is a DBA of Home Energy Advisors LLC. The costs of developing and operating this website are paid for by our sponsors in exchange for advertising their products and services. 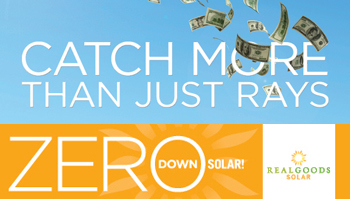 Only businesses that can directly help reduce resident energy usage are eligible to be sponsors.